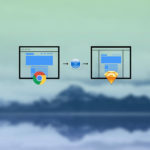 Finally a solution to one of the biggest and most annoying workflow setbacks in every interaction designer’s day. Here’s a free script that we created that will save you a lot of time slicing and restore your sanity. This is for Hacking UI list members only, sign up if you want it. 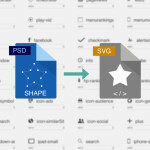 In your PSD name the vector layers you would like to export with a “.svg” at the end. For instance a layer named “Star” should be named “Star.svg”. Sagi shared his workflow in exporting SVGs out of Photoshop when working on a large design project.